Become an Aussie Hoops Association! Become an Aussie Hoops School! 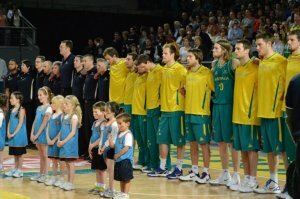 Aussie Hoops is Basketball Australia's FUN, and exciting, national program for primary school children. The Aussie Hoops program uses a "game sense" approach where children learn basketball through playing lots of games and activities. 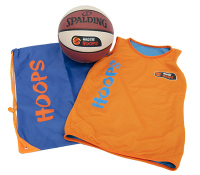 Aussie Hoops is for all boys and girls up to 12 years of age and ALL abilities! Basketball is a fantastic sport that can be played all year around, indoors or outdoors and you don't even need a hoop! There are plenty of activities for the children to do. Coaches use handy session plans provided through their school or association. These types of resources plus many more make it easier so that parents or older brothers and sisters can run the program as well! The children are having so much fun, they don’t even realise they're learning! Aussie Hoops is delivered in schools and associations all over Australia. The "In School Program" can be during or after school time. Associations run holiday camps and weekly programs during the school term. To find out more about Aussie Hoops in your area, please contact your state or territory assocation who will assist you. Click here for their details. Some parts of this site have restricted access. To access these parts of the site you or your association will need to be registered with Myfiba (www.myfiba.com) as well as being registered and approved by your state/territory association. 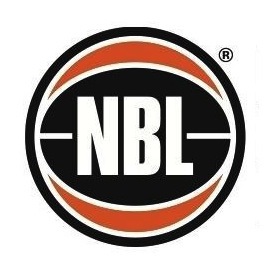 Do you find the Aussie Hoops website useful?